The Argentine Cartoonist Who Moonlights As A Nerd Rockstar : Alt.Latino The illustrator known as Liniers is becoming known in the U.S. for his New Yorker covers and children's books. But in Argentina, he's been a multimedia presence for over a decade. The Argentine cartoonist Liniers is becoming known in the U.S. for children's books and cover art published by The New Yorker. Ricardo Liniers Siri, known professionally as Liniers, holds a unique position in the broad swath of Latin American culture. He is by trade a cartoonist, and he's becoming a presence in the United States after his recent covers for The New Yorker. But Argentines have been familiar with him for over a decade — he's had a daily cartoon strip called Macanudo in the Argentine newspaper La Nación for 15 years. Fans of his cartoons may not know that there is a very musical side to him. 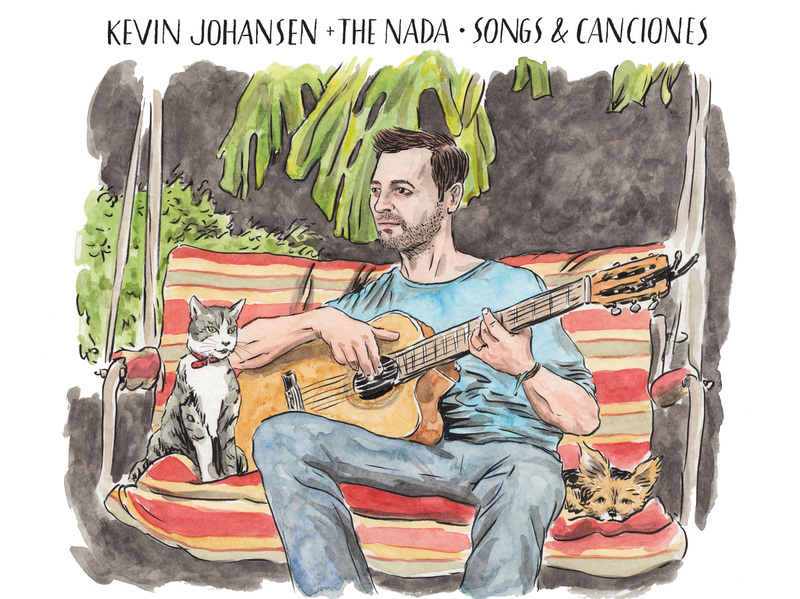 He's collaborated with musicians like Uruguayan Jorge Drexler and the Argentines Kevin Johansen and Andrés Calamaro. 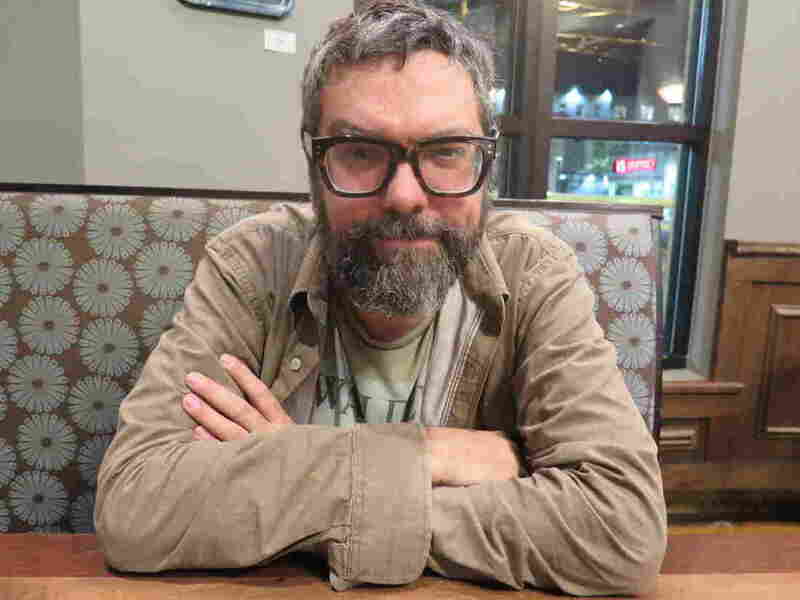 Liniers currently resides in Vermont with his family on fellowship with the Center for Cartoon Studies. At a book tour stop for his newest cartoon bedtime story, Buenas Noches, Planeta (Good Night, Planet), a full house greeted him at Takoma Park Public Library in Maryland. I interviewed Liniers right afterward. 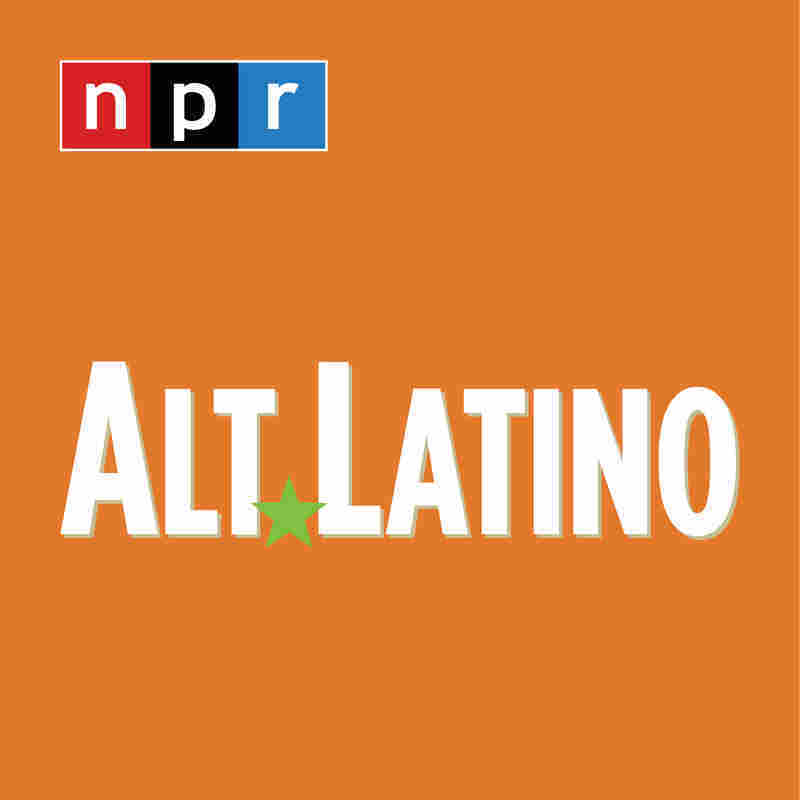 We just came out of a full house presentation of your newest book, but for our Alt.Latino readers, tell me a little bit more about it. So I came to present in [Washington] D.C. my last book that I did with Toon Books, and it's called Good Night, Planet. It's a graphic novel for very young readers. I had recently moved out of Buenos Aires with my family, my three little daughters and my wife, and we all moved to Vermont to the middle of the woods. And you know, we come from a big city, [Buenos Aires] is a very Woody-Allen-type city. But now in Vermont I have to get rugged and chop down trees and stuff like that. 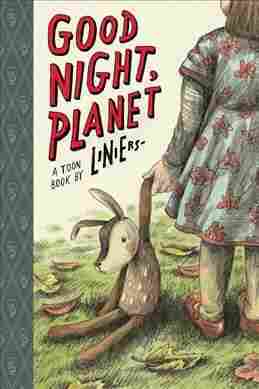 So Buenas Noches, Planeta is a short story about a stuffed little deer, that my actual daughter has, and when I asked her what's the name of your new friend she said "Planeta," which is planet in English, and I thought it was the weirdest, funniest, coolest name I have ever heard for a stuffy. So then the story came out of that. That's such a nice backstory! So you've been a cartoonist for many, many years now, and one of things that you're most known for in the U.S. is for your New Yorker covers. Can you tell me about the first time you created one? How did that come to be? Yeah, The New Yorker covers kind of happened to me. It wasn't on my plans, it wasn't something I was aiming for because it was like, yeah sure, let's go climbing and hike to the top of the Everest! It didn't make any sense that I was going to get a shot at that, and my favorite illustrators and cartoonists in history were published there. So I wasn't aiming for that, but I was lucky enough to publish with Toon Books. And it turns out that Toon Books is run by Françoise Mouly, who is a wonderful publisher, and she is also the art editor for The New Yorker. At some point she invited me to her office and told me in her French accent: "Well, you should send me some sketches for the magazine." And I thought, wait, what magazine is she talking about? And then I realized we were actually speaking inside of the offices of The New Yorker! So it would make sense that she was talking about that magazine [laughter], so I started sending sketches like a madman. She ended up liking one, and then she liked another, and then this thing happened that I was published as the cover artist, dream came true, and I still can't understand how I have been in that cover! Also, I remember reading that you had sent a cover to the New Yorker that was about President Trump, can you tell me more about that? Who's Pennywise for those that might not be as familiar with who It is? Pennywise is the clown from the Stephen King book and its movie adaptation, It. And I thought to myself, okay, Pennywise and Trump, I see something there. I see why everyone is going to see a movie about a crazy psychotic clown right now. So I sent this idea after the announcement made about DACA. Every now and then I send a Trump idea to The New Yorker, but the last time I was there, they took me to a wall that is filled with sketches on Trump, and they're all amazing, and they're the funniest sketches ever! But then someone told me: "Hey, look at all those sketches, I bet sometime soon it will become a book!" So hoping for that I still keep sending Trump sketches again and again! Liniers, you have also been doing some remarkable musical collaborations with some of your friends. Let's start with one of them: Kevin Johansen. Tell me a bit more about how you two met and about your collaborations. Well, Kevin Johansen is an American-Argentine musician who was born in Alaska. His father was against the Vietnam War and so he was sent there to Alaska to do paperwork, or something like that, and Kevin was born there. Having lived in Alaska, he always says that everywhere to him is the south. He ended up becoming this amazing musician with a mix of everything. And Kevin has this very low voice like Leonard Cohen and Barry White, and he sings beautifully. We have been doing a show together for the last 10 years in which, while Kevin sings with his band, I sit right next to him on a desk and I draw. It's the nerdiest version of a rock star. And it's fun! Do you ever change roles with Kevin? Like, what if you play the guitar and sing, and he draws? Yeah, sometimes in the show Kevin will paint and I will sing just to show people how good we are at what we actually do. I kind of entered this world of music through this kind of door that had a sign that said: "NERDS COME IN." One thing that we do on the show, and I have to say that I used to be super shy, is that sometimes we exchange roles. Kevin ends up drawing, and I manage to play a three-chord Bob Dylan song. And people are like, oh, this is horrible, why do they do this? It's horrible and then the whole band joins us, and suddenly in my brain I say, "Oh wow, I'm really good!" And that is why I always think that in a boxing match you should always put a normal person in there, to throw in some punches. You need something to just compare how good people really are at what they do! Haha, that's great! Another musical collaboration you've worked on is creating a cover for one of Andrés Calamaro's albums. Yeah, Andrés Calamaro is a legendary, very famous, mythical musician in Argentina and in Latin America, and I have done cover art for him. I did one too for Kevin, for an album called Logo, and in that one I put a Zeppelin. And then, the cover I did for Calamaro for La Lengua Popular, which translates to "the popular tongue," I ended up drawing a big tongue. So basically I did a cover with a Zeppelin, and one with a tongue, I can't think of a reason why [laughter]. Haha, for those reading this without classic rock references knowledge, why would that be? I don't know! [laughter] But I can tell you that the next one is going to be four people crossing the street, I have this very revolutionary idea! The Beatles, Led Zeppelin and Pink Floyd. Those are great nods to those bands. Another one of your musical friends is Uruguayan Jorge Drexler, tell me how did that friendship start? I met Jorge through Kevin, who [referring to Jorge] is this wonderful Latin American musician, and who won an Oscar for The Motorcycle Diaries. And one time Kevin took me to Jorge's house, and I was trying to act cool. So I thought, maybe he can become my friend if I act cool enough! I kept telling myself, OK, OK, be cool. But then I saw that on top of one of Jorge's bookshelves was the Oscar, so all the coolness left me, and I said, "Jorge can I grab the Oscar, let me grab the Oscar!" And I got to touch his Oscar! [laughter] And the cool thing is that Jorge received the Oscar from Prince. So I got to touch the Oscar that Prince touched. That was cool! Wow, you're right, didn't remember that Prince had given Jorge the Academy Award. Let's go now to another interesting aspect of your work: La Editorial Común. How did you start the project? So La Editorial Común is a project in which we started publishing comics of cartoonists in Argentina. Argentina is strange country, and for some reason there's always been a lot of cartoonists and comic artists that come from there, and most of them end up working here in the U.S. or even in Europe. But those books sometimes are not published in Argentina. So maybe nobody knows in Argentina who José Muñoz is, or who Trillo is, or who know who Altuna is. They are very amazing cartoonists. And for some reason in Argentina a lot of their books are not available. So we started trying to do something about that, and also try to get hype for the boom of the graphic novel in Latin America, which had been happening over the last 30 years in many other parts of the world. And especially we wanted to do it in Argentina because people there are still kind of, you know, they have this idea that comics are just adventures and jokes. And that's kind of saying the same thing like good movies are just Chuck Norris films and Jerry Lewis. And those are good films! But now, La Editorial helps us get more of those books down there. That's great so you're giving a chance for a lot of artists to keep doing what they love. One of the other things that I am interested in knowing is: What are some of those influences that you have had both as a human and a cartoonist? Right. Like, hey, be grateful with your roots which are the ones that made you who you are. That's true. So you mentioned your daily strip in Argentina's La Nación which is Macanudo, which has been around now for how many years now? So Macanudo I started in 2002, so it's been 15 years that I've been doing it. Which for me is a big number. It's always been on my mind that it was going to be a 10-year project. Macanudo is like a schizophrenic strip so it's everything I grew up reading, like Peanuts, like Calvin And Hobbes. Fifteen years, well congrats! I've noticed that in your cartoons that you have a lot of characters. But I want to ask you specifically about one character, and it's one rabbit with glasses. Can you tell me who that is and why is a character like that? Yeah well, so I have a little girl with a cat, I have Olga, I have a lot of characters. And I felt that I shouldn't always have the same type of humor. So to change it I created a character that is me, based on truth, and that reflects on stuff that actually happens to me. Like the way stand-up comedy works. So I realized that I had to draw myself in the strip to make it real. But I didn't like want to draw myself because I'm not very pretty, haha. So what you're saying is that you started to draw yourself as a cool rabbit with glasses. Nice! Yes. I started drawing myself as a rabbit. You know I'm very sorry I did that. People reading this, I'm sorry [laughter]. I don't know why it happened. But then what happened was also that I started drawing myself as a rabbit and I realized very early that Matt Groening had already done it in Life In Hell, which is before he did The Simpsons. Every character there is a rabbit and sometimes he's in that strip, and he's also a rabbit. So at first I was going like, oh no, I can't do it because you know, Groening already did it. But let me tell you a story: So I had been living in Buenos Aires, and I thought to myself, hey, he'll never find out. There's no way he'll ever find out about my little bunny thing. But then I got a phone call from my sister. And turns out Matt Groening was dating a friend of my sister in Argentina! And now they have three kids. So Matt Groening's wife is Agustina and she is a friend of my sister. So it turns out they invite me for dinner and I had to come out and say, "Hey, man, about the bunny thing. I'm sorry!" And he was very nice, especially when he realized that if I took the ears off, I was Milhouse! [laughter] But it's not my fault. The Simpsons is like a Bible for comic artists! In 2,000 years there will be wars fought over The Simpsons between the people who believe in Homer, and the people who don't believe in Homer. So it's not my fault, Matt! Thank you, Ricardo. Thank you, Liniers!